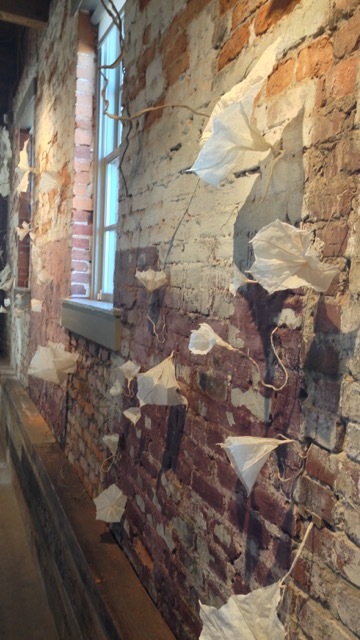 "Invasive Species," installation at ArtFields 2016 in Lake City, SC. Over 300 morning glories ranging in size from 1 1/2" - nearly 6' in diameter. Approximately 1,200 sheets of handmade abaca paper in a variety of beating times from opaque to translucent. Paper is the only material used in the making and suspension of this installation that invaded over 55' in length of the Jones-Carter Gallery. Awarded the People's Choice Award for a 3D work. Special thanks to Hannah Davis.